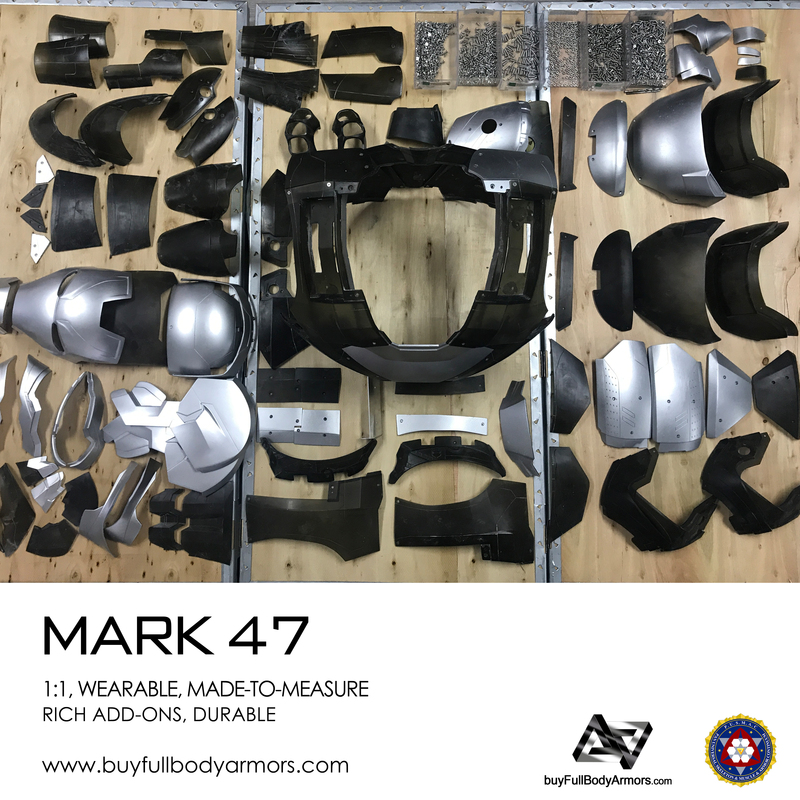 It's been a while since our lifesize wearable Iron Man Mark 47 armor costume suit's official release, we have been focusing on the producing of the first batch of wearable Ironman Mark 46/47 armor costume suits! Currently the basic parts of the upper half has almost completed and the other parts are also on their way! Each piece of the wearable Ironman Mark 46/47 armor costumes suit is carefully designed and adjusted to present the most movie-accurate, most detailed and most realistic armor costume! This ultra-realistic lifesize wearable Ironman Mark 46/47 armor costumes suit will be the best armor on buyfullbodyarmors' history! This entry was posted in News,Iron Man Suit Mark 46 XLVI Wearable Armor Costume R&D Milestones,Iron Man Suit Mark 46 XLVI Wearable Armor Costume R&D Full History,Iron Man Suit Mark 47 XLVII Wearable Armor Costume R&D Milestones,Iron Man Suit Mark 47 XLVII Wearable Armor Costume R&D Full History and tagged on Mar 31,2018.